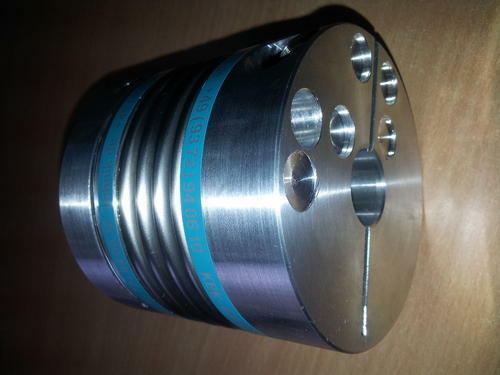 Rotolinear systems can offer fine dynamic balanced kbk metal bellow coupling for high rpm with shortest delivery time. The standard couplings are available in ex-stock at bangalore. Backed by a decade of industry experience, we are engaged in offering a remarkable range of Linear Motion Products. Our broad range comprises ground Ball Screws, Linear Guide Ways, Precision Locknuts, Metal Bellow Couplings, Servo Insert Couplings, Servo Couplings, Safety Couplings, Torque Limiter, Keyless Clampings, Locking Element, Bearing Reducer, Twinspin Gearhead, Planetary Gear Heads, Torque Limiter and Actuator. Apart from this, we also provide X Y Slides, Ball Screws Support Unit, Spinea Bearing Reducer, Twin Spin, Linear Guide and Servomotors & Controllers. Our product range is procured from the most reliable vendors of the market who have years of experience in the respective domain. Some of the vendors from whom we source the products are Spinea and Nikki. We also deals in mechanical parts and spares. At our vendors premises, the product line is developed using high-grade raw material. All the products are precise engineered as per the prevailing international standards. These products can also be customized to suit the varied requirements of our clients. Moreover, these products are several times tested for well-defined quality parameters in order to ensure their flawlessness. Due to our consistent quality products, we have gained huge clientele in the markets of Indian Subcontinent, East Asia, Middle East and South East Asia.